After the highly successful Literature Forum-sponsored performances by a stellar cast of Royal Palm Players reading Horton Foote’s “A Trip To Bountiful” on January 11 and 12, the Forum returns to its usual format on Thursday, Feb. 8, when Jack Hall and David Jenkins will present “The North Water” by English author Ian McGuire. 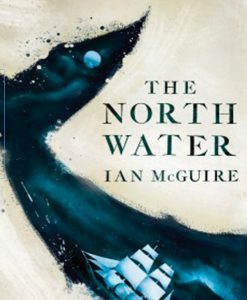 This riveting and darkly brilliant 2016 novel tells the story of a 19th-century whaling ship that embarks for the Arctic with a killer aboard. The two main characters, a disgraced, drug-addicted surgeon and a vicious, amoral crew member, deal with unimaginable physical hardship in very different ways. There are echoes of Joseph Conrad and Cormac McCarthy in this highly imaginative and engrossing tale. All are welcome to attend the discussion at 2 p.m. in the Houghton Room of the Community Center.